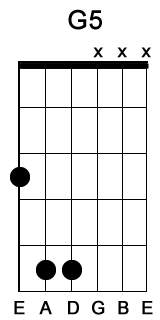 Acoustic Guitar Lessons - Power Chords. Free Acoustic Guitar Lessons! Learn to play the guitar by practicing these easy to follow acoustic guitar lessons for beginners. A power chord consists of the root, 5th and the root again. If you want to know more about root notes check out the Guitar for Beginner page. 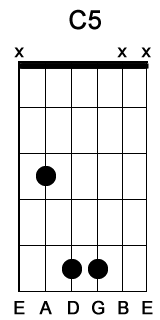 Figure 1 shows a G, C & D power chord. Power chords are moveable. 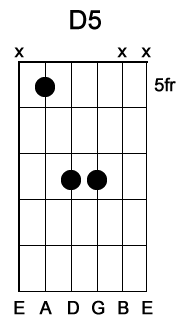 You use the same pattern but move the position of your hand up and down the fretboard to play different power chords. Try thes two note power chords in Figure 2 for a thicker rock sound. Check out the Rock Guitar Lessons page for more Rock Guitar Lessons. This time try adding in some palm muting to the power chords. I have a whole section devoted to palm muting at the Guitar for Beginners page. Check it out and learn to play the guitar!